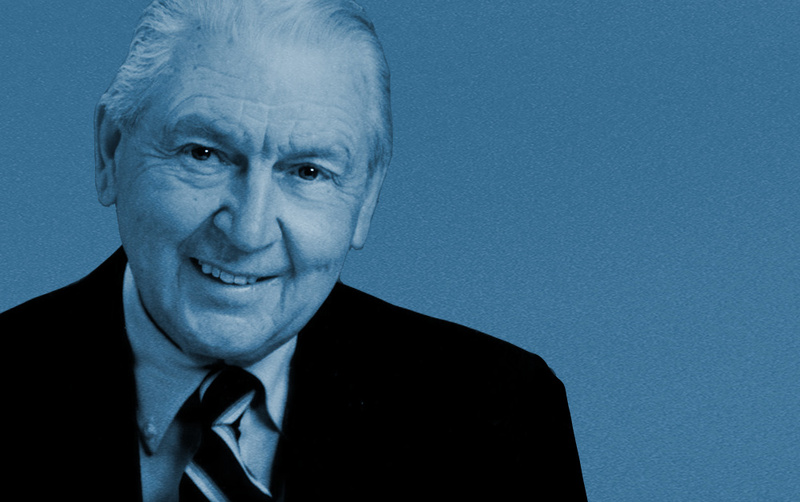 Louis J. Cahill was recognized by his peers as the “King of Communicators” and Canada’s “Dean of Public Relations” – a true “pioneer” in the field since 1930. When Lou embarked on a career in public relations, there were no formal training programs. Even though he didn’t finish high school, in 1991 he was granted an Honorary Doctor of Laws degree from Brock University. In 1936 he co-founded the Niagara News Bureau supplying news and photographs to newspapers and magazines throughout Canada and the U.S. Starting out as a one room, one typewriter organization, it eventually became one of the oldest and largest privately-owned public relations/public affairs consulting firms in Ontario, possibly Canada. “The Bureau” became the Ontario Editorial Bureau, or SiOEB in 1949. Lou pioneered countless public relations precepts that guide the profession today. Many in Ontario’s public relations industry gained their expertise with advice and counsel from Lou. It was the story of the Welland Canal that was his passion. In 1979, he helped to organize a major celebration for the 150th Welland Canal Anniversary and repeated this in 2004 with the 175th Anniversary at the age of 90. Lou assisted the Roman Catholic Diocese of St. Catharines and established the Diocesan newspaper the Vineyard in 1987. In 1995 Lou received the Pro Ecclesia et Pontifice (for Church and Pope). A Life Member of the Canadian Public Relations Society, Lou received their numerous Honours and Awards including the inaugural award of CPRS “Fellow”. In 2006 the Lou Cahill Scholarship in Communications was established at Brock to encourage young men and woman to pursue a career in public relations and communications with a demonstrated interest in their community. Lou dedicated his lifetime to promoting his community, his province and his country. Over the years his entrepreneurial spirit touched most of the significant events in the Niagara region.